Toyota Express Maintenance (TXM) is a vehicle maintenance program designed to help you! Our process involves a “pit crew” style approach to servicing your car. The system uses a team of two certified technicians, working together with very specific responsibilities. This ensures your car gets fast, and accurate service. What is included in the Toyota Express Maintenance? Here at Toyota of the Desert, we know your time is valuable. The first thing to do is schedule a service appointment that that fits into your busy day. Next, our Factory Trained Technicians will go to work on your vehicle like your own personal “pit crew”. While our express lube techs are doing the oil & filter change, a multi-point inspection will be done on your vehicle and an inspection sheet with any items that may require attention will be provided to you. 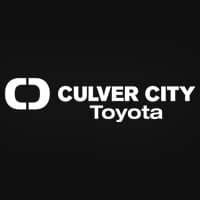 If your Toyota or Scion needs any additional maintenance or minor repairs, you can choose to have them taken care of right away, or schedule another appointment. With proper maintenance and care, your vehicle will last longer and be less expensive to maintain, and be more dependable. We use genuine Toyota parts to keep your vehicle performing at its peak, so you don’t have to compromise on quality to get the speedy service you deserve. Toyota Express Maintenance at Toyota of the Desert is a process that offers everything you need to keep moving. Quality workmanship. Competitive pricing. Fast service, and all from the one place you can trust to do it right!